6-7 April 2017 in Kiev NSK "Olympic" was held the first in Ukraine international specialized exhibition of retail and development RDBExpo-2017. As expected, the first in Ukraine specialized international exhibition industry and development of retail gathered almost all key industry representatives. Here were the owners and top managers of companies in retail and mall management companies and companies offering effective solutions for retail and development. The event presented their projects over 50 companies representing Ukraine, Belarus, Kazakhstan, Georgia, Germany, Austria and other countries, and international companies operating worldwide. Expo-zones total area reached 3,000 square meters on two floors - so where were all accommodated. Free space left. (Orlando, Florida, US) – IAAPA Attractions Expo 2016 broke all records as an all-time high 35,100 attractions industry professionals gathered in Orlando to experience the future of the industry across the largest trade show floor in the event's 98-year history. The attractions industry business is booming around the world and the success of IAAPA Attractions Expo 2016 rounds out a record-breaking year for all three of IAAPA's Expos, including the events in Asia and Europe. The weeklong trade show and conference in Orlando took place Nov. 14-18 in the Orange County Convention Center. More than 22,600 buyers, including attractions industry owners, presidents, general managers, directors, and managers joined creative innovators throughout the week to announce new products, test the latest technologies, discuss trends and hot topics, taste new food and beverage options, and learn from leading experts. 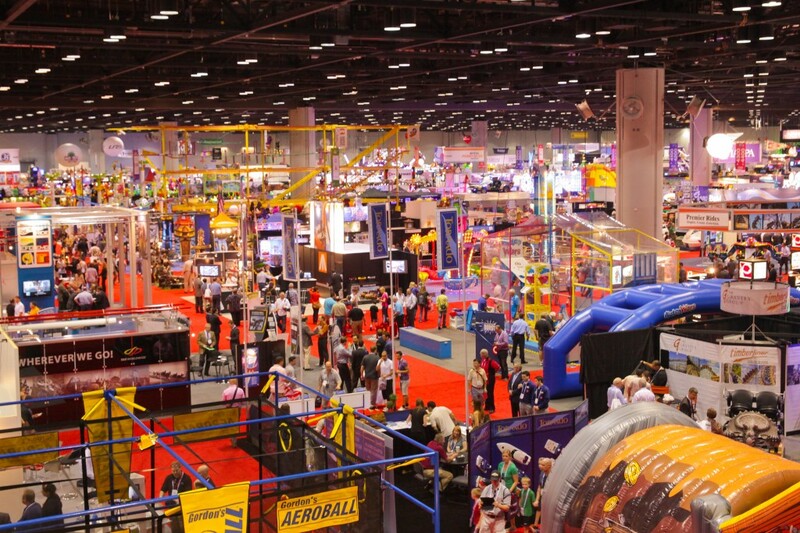 IAAPA Attractions Expo is the premier conference and trade show for the $39.5 billion global attractions industry and serves as the marketplace of cutting-edge innovation for the industry. The five-day Expo pumped an estimated $51.3 million into the Orlando-area economy.